Have a crazy hair day!!! – Have a crazy hair day!!! THE SURPRISED LOOK ON YOUR GUESTS' FACES. . .
HAVE A CRAZY HAIR DAY!!! 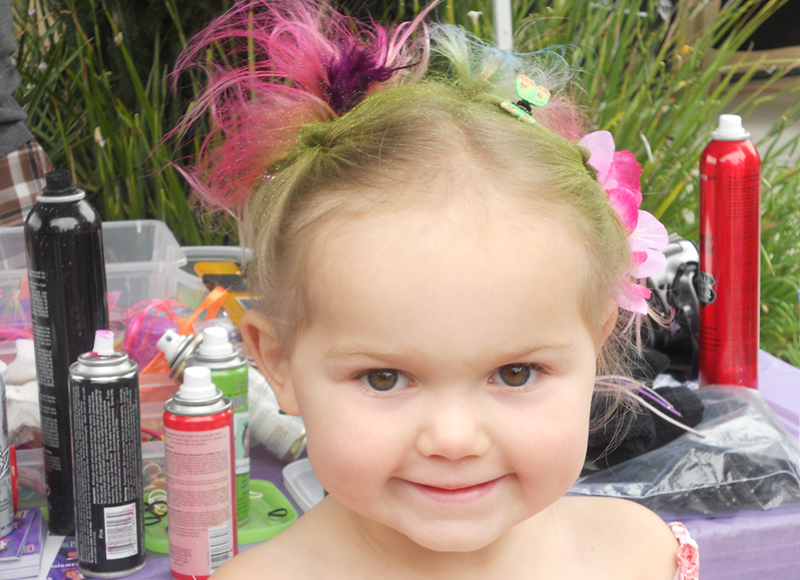 The Crazy Hair Company transforms hair into fun, wearable art. When you see the smiles and hear the laughter as your guests compare their unique creations, you’ll know you made the right decision. The Crazy Hair Company is the key ingredient that’ll make your event memorable, remarkable, and amazing! Thank you to Crazy Hair Company for volunteering with the Village and making the evening so special for our families. Our wish children has such a wonderful time being dolled up in your makeover and we are sure they will have many memories to bring home with them. The Arthritis Foundation is pleased to have worked with Joy Brandel for the OC Arthritis Walk. 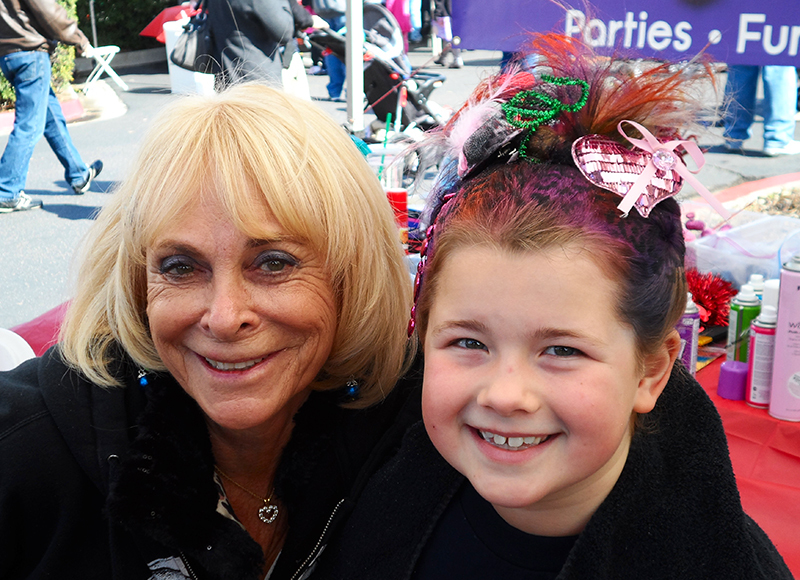 Joy’s creative and fun hair styles bring smiles to the children and parent’s faces! Thanks Joy for your creativity and support!!! 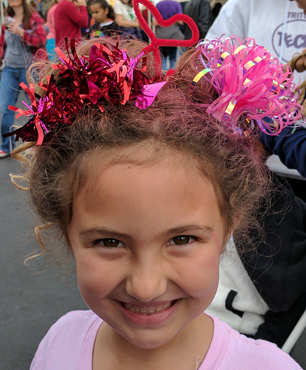 Crazy Hair Company was a huge hit at the open house hosted by the Ocean Institute on behalf of the Maddie James Foundation. Joy and her incredible staff had a line of enthusiastic kids waiting for their services the entire time. Their unique hair creations have mass appeal to boys and girls of all ages: from funky green faux hawks for the boys, glittery updos for the girls. 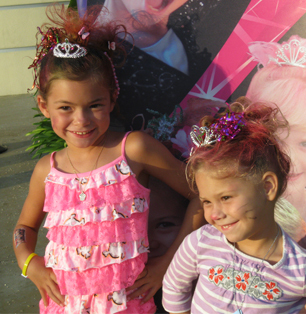 We can’t wait to have Crazy Hair Company return as featured entertainment at 2012’s A Mile for Maddie! 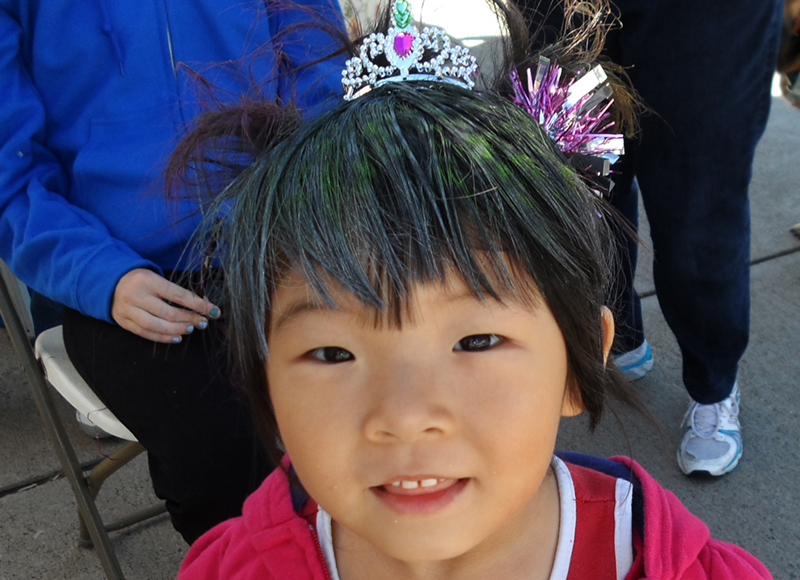 Joy came to our “All-Star Bash” to do her “Crazy Hair” and it was a huge hit. Both girls and boys lined up to get their hair done creatively by Joy. Then they showed it off to their friends. . .who then came and running to get in line and get their wild and crazy “do”. 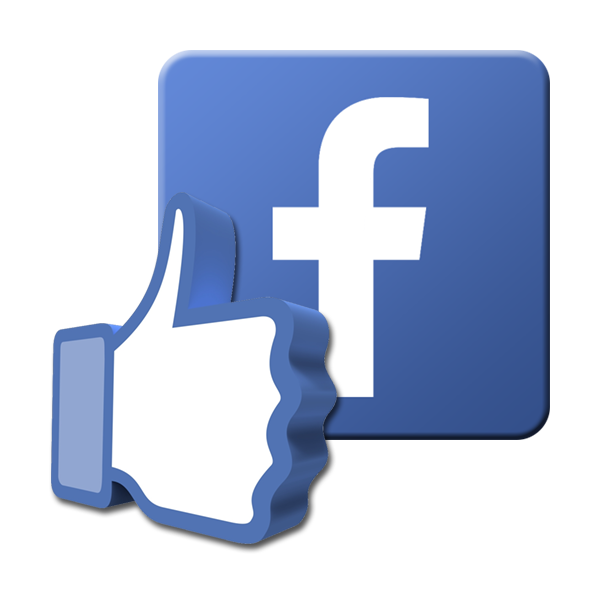 It was a WIN-WIN for everyone, a great addition to our event, and something that we will offer from now on. Joy is so creative and truly loves working with kids. Joy is a Joy! 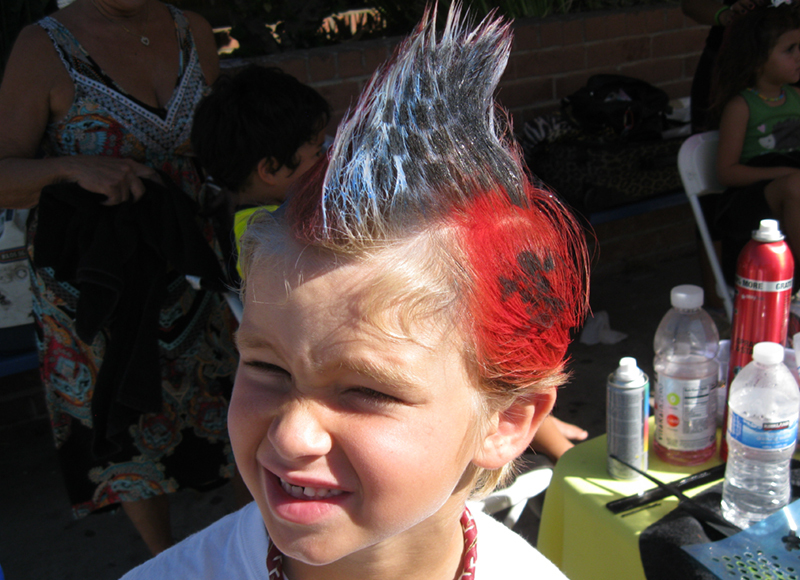 Thank you so much for coming to our Fall Festival and doing your awesome “Crazy Rock Star Hair”. You had the busiest booth at the whole festival! Thank you so much for making Tatum’s 7th birthday celebration the best. The staff was amazing. They made every girl beautiful as well as making them feel extra special too! I would recommend your birthday parties to everyone. What a fun time for all of us. To my Kid Zone Extraordinaries. . . I wanted to say thank you for helping to make the 1st annual OC JBR a huge success this year. Without your time, donations, talent and generosity it would have not been such a huge success. It was great getting to know you and working through this fun event! 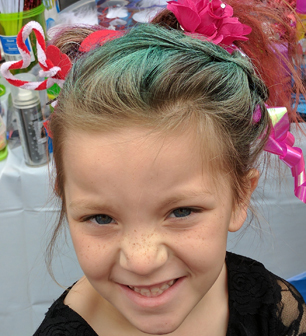 The Something mAAgic Foundation had the pleasure of having Joy and the Crazy Hair Foundation involved in its annual mAAgic flight event in Orlando, Florida. 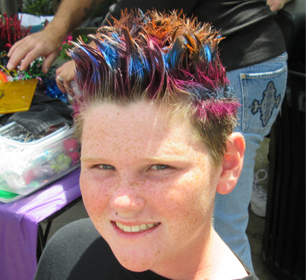 Joy brought smiles and happiness to children and adults alike with her creative crazy hair designs. Joy made this event extra special for so many families. Thank you Joy for your dedication and passion. 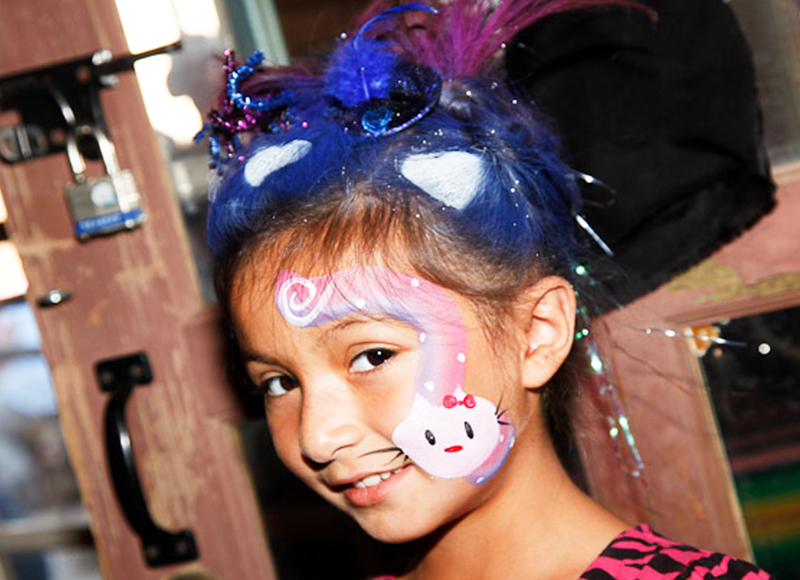 On behalf of Make-A-Wish® Orange County and the Inland Empire I would like to thank Crazy Hair Company for supporting the 4th Annual Walk for Wishes® Event held on Saturday, April 26th at the Orange County Great Park in Irvine! Your participation made this day a true success as we walked to raise money to grant wishes for children in Orange County and the Inland Empire. Every day we see how the power of the wish affects children’s lives. We hope you understand how much your contribution as a vendor meant to the event. As the event will continue to grow we hope that we can count on your participation for next year. Please find attached photos from the event (you might even see a picture of you booth!). We hope you will consider joining us for next year. Stay tuned for next years dates. 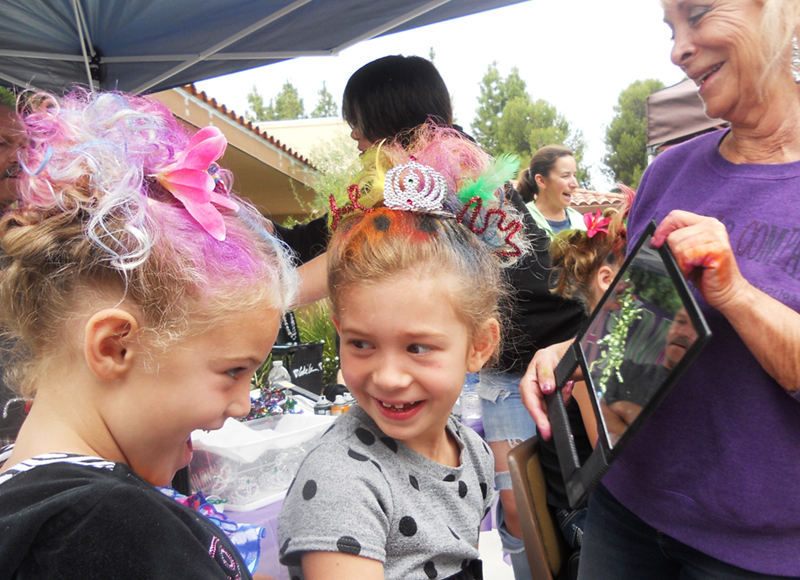 Our campers went crazy for the Crazy Hair Company at our annual Campout at Beebe Park! 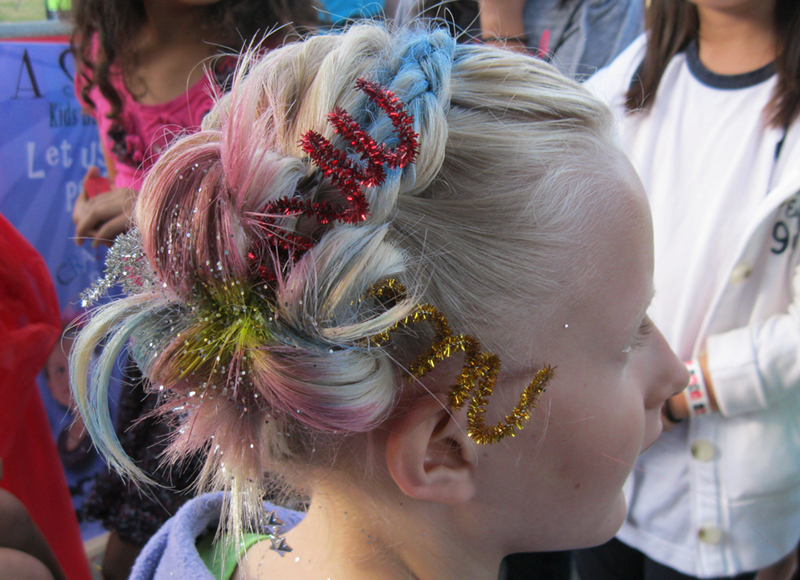 Campers got decked out in true campout fashion with amazing hair styles and staff made it an enjoyable experience! It’s hard to find a company in OC that was THIS EASY to work with. 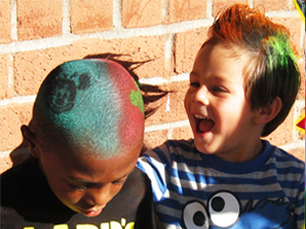 The Crazy Hair Company has been visiting Give Kids The World for the past few years bringing happiness and joy to our guests. 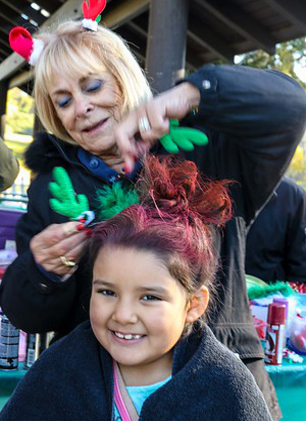 Not only do they come out and create magical hair creations using spray, chalk and adornments, but they also raise funds and in-kind donations to help support Crazy Hair at the Village 365 days a year! 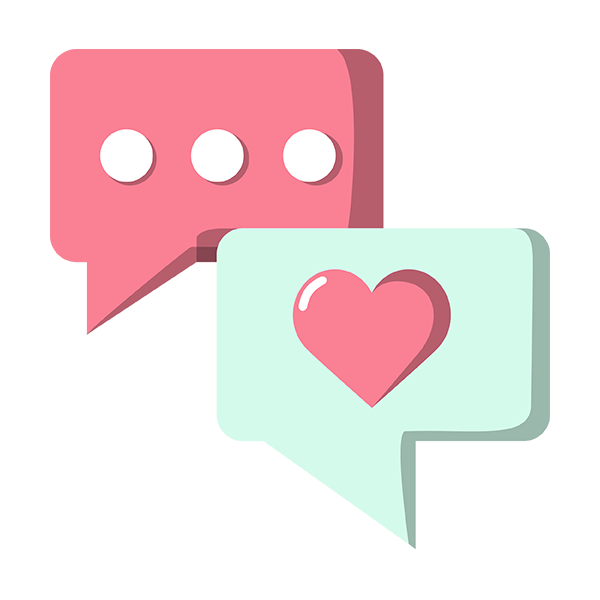 Give Kids The World is a non-profit organization that creates memories for children suffering from life-threatening illnesses and their families. Give Kids The World provides a week long dream vacation that includes accommodations, tickets to the Central Florida attractions, Entertainment activities and meals at no cost to them. For more information, please visit givekidstheworld.org. Thanks for all you do, Joy!!! 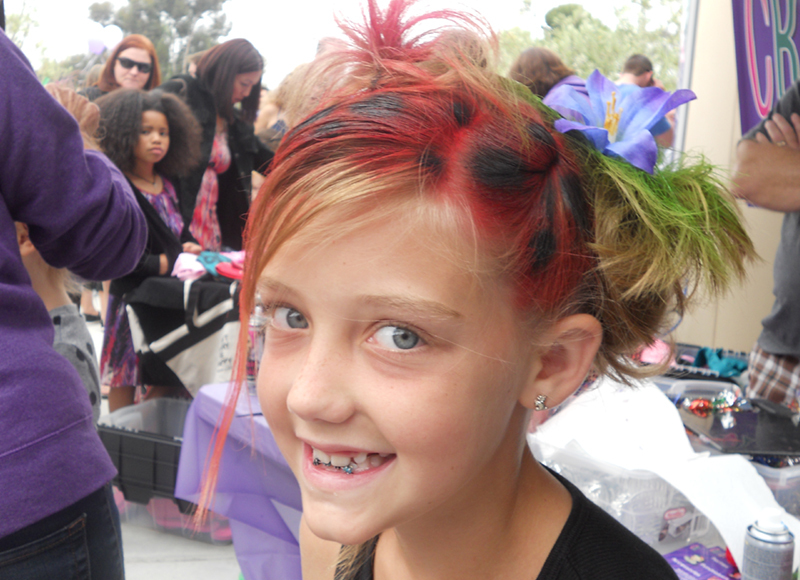 Thank you to the Crazy Hair Company for supporting Alzheimer’s Orange County! 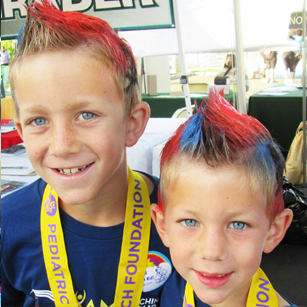 Everyone loved getting their crazy hair done at our Anaheim Walk4ALZ at the Angel Stadium! 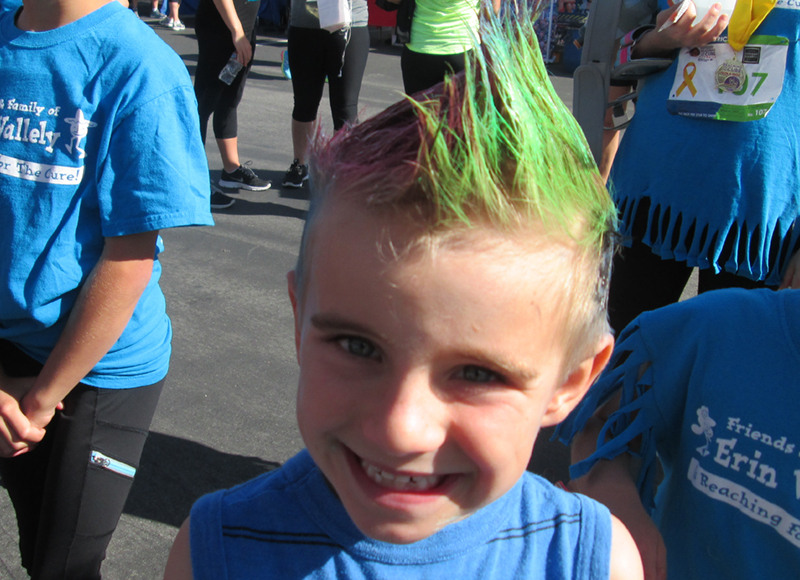 Participants of all ages were walking with their hair looking crazy and fabulous! Thank you again from Alzheimer’s Orange County! On behalf of the Arthritis Foundation, Orange County Inland Empire Office, thank you for donating your services to the Jingle Bell Run at Laguna Niguel Regional Park last Sunday. 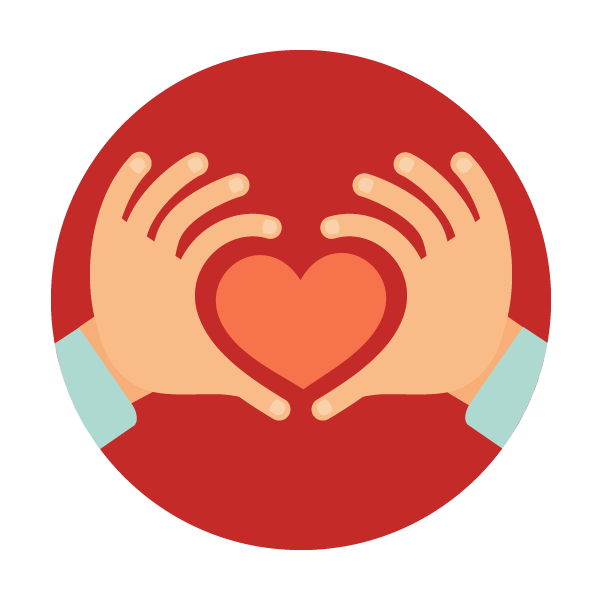 Because of your commitment to help others, the Arthritis Foundation will continue to improve the quality of life for those with arthritis, by teaching people ways to cope with the debilitating symptoms of arthritis. 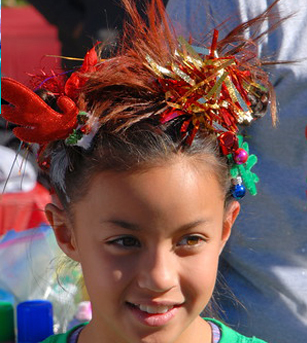 The kids look forward to getting their hair all decked out each year. Your services add so much to our Kid Festival Zone, putting lots of smiles on these cute faces. Thank you for showing us all a crazy fun time! We hope to have you back again next year. We have hired Joy for various events year after year. Her Crazy Hair experience is always a favorite among attendees. Children are of course so excited for the fun hair do and adults get into it too! 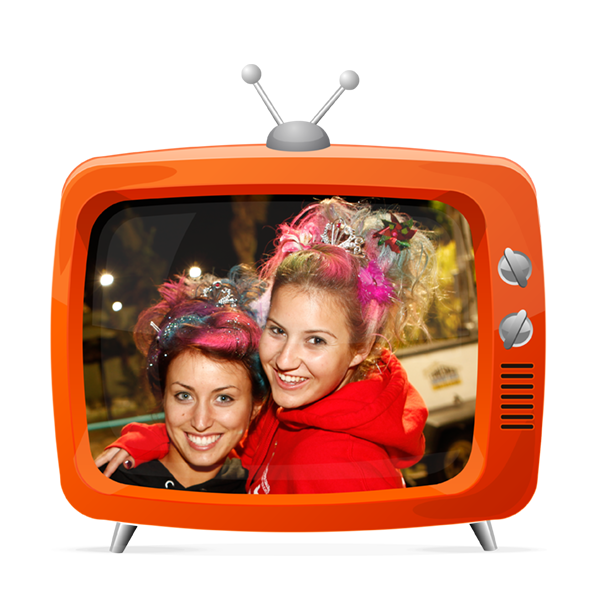 When we think of the must-do activities for our events, the Crazy Hair Company is always at the top of our list!